Hello I'm Andrew Alvarez. I'm 34 years old. My interest in the paranormal started at about 8 years old after an experience that happened when my grandfather passed away. 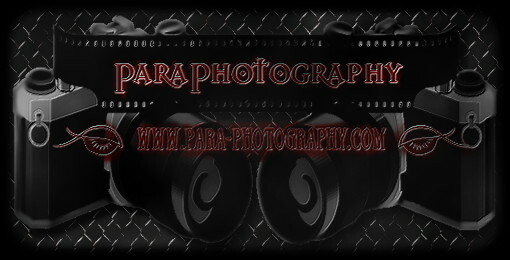 I'm a founder and director of the Paranormal Organization of South TX POST. We formed 7 years ago and have been serving the South Texas area since. I am an ordained Christian Minister and am studying demonology and theology. I also plan on learning the art of exorcism. I have a background in website administration, music performance and production (pre and post), web graphics, and some video production. I look forward to working with NPS in contributing my talents and learning from other's talents. Was born in Portland, OR in 1977. Moved to Laramie, Wyoming until six years old and then moved to Hot Springs, Arkansas until I got out of high school.Have been interested in the paranormal since I learned to use a card catalog. My first library book was about ghosts. Have always been drawn to the paranormal and occult.At about age 14, I decided to start putting what I had learned from witchcraft books to use in the paranormal. Started investigating graveyards and exploring abandoned buildings. As I met more people in the paranormal I started to learn about EVP and started getting into the tech modern investigators use.I have not investigated any of the more famous haunts unless you count Ft. Knox, ME or what was once known as The Poet’s Loft in Hot Springs, the latter used to be a hangout of mine.Currently I am an unemployed chef seeking employment due to binary pulmonary embolism I had about 6 months ago and doing landscaping work until then. That’s about all I can think to say. Let me know if I need to include anything? Thank you. I would like to discuss photographing through or towards reflective surfaces. Several times I have been asked to go over photos where people think they might have captured something but it is just a person or object that is in the room reflecting off the glass. This morning i snapped a couple of examples and posted below. 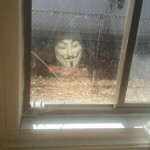 Another thing that you see a lot of is photos taken outside a house with tree leaves or branches reflecting off the windows being matrixed by the brain to look like a person or a face. Unfortunately i live in the desert and could not get any good examples of this. One other example I couldn’t quite capture is photos taken from reflective surfaces or materials with a flash. This will often cause the light to refract off the reflective surface back onto the lens causing lens flare. If you are interested try experimenting by taking photos of reflective surfaces with and without a flash and post them on our Facebook page. Light painting is the art of using customizable shutter speeds to create masterpieces using light emitting objects such as flashlights, glow sticks, even cell phones, and a slow shutter speed. Objects can be illuminated, shapes and designs can be created and light can be shown towards the camera for more effects. Painting with light and long camera exposure dates back to 1889, and was used in Frank Gilbreth’s work with his wife Lillian Moller Gilbreth in 1914, when they used small lights and the open shutter of a camera to track the motion of manufacturing and clerical workers. One method of light painting is for the artist / photographer to set their camera at a shutter speed of around 20 seconds with the timer set. For this method, a tripod is mandatory. They then walk to the focal point with a hand held light or glow stick. When the shutter opens, they spin the light around them to create balls of light. So how does this tie to the paranormal? 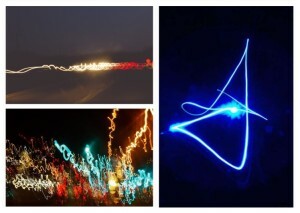 Many anomalous photos show the same effect as light painting. Instead of a light emitting object, we often look at a light reflecting object. Shutter speeds are generally slower than daytime photos but more along the lines of 1/15 or 1/30 of a second. Now these speeds may not seem long, but when you look at action photos using a speed of 1/500th of a second. 1/15 of a sec takes about as long as saying the word “one” when saying “One Mississippi” That leaves time for a light streak to appear from a reflective surface as it moves across the focal point of a camera. Generally, paranormal investigators hold their cameras and don’t use a tripod which allows more movement to make a more extreme effect. 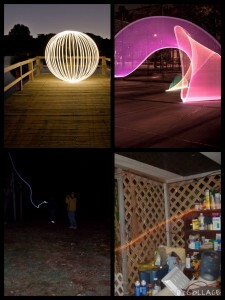 The photos show examples of light painting and the possible effects in paranormal photography. 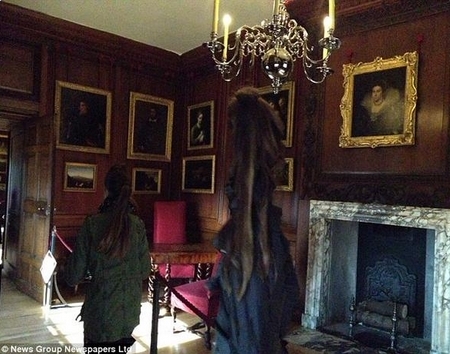 There is a ghost at Hampton Court Palace – or so a new photo, taken from an iPhone, would have you believe. But the spectre really lurks in the way that the mobile phone cameras takes pictures. The new photos supposedly show a schoolgirl being followed by Hampton Court Palace by a ghostly apparition – claimed to be the Grey Lady that haunts the palace. 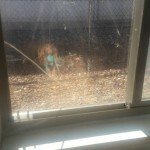 The girl and the apparition are alone in the first picture, as it follows behind her, and in the second she is joined by someone else, shown turning around after the ghost has left. But the two people – the apparition and the other person in the room – are likely instead to be one. And the secret that has brought them together is image aliasing and distortion. What seems to have happened is that as people move in the image, they get pulled together as the camera attempts to take the picture. As the iPhone struggles to take the photo in the dark, the people in it distort and blend together. What’s more, the iPhone doesn’t take photos all in one go, which means that people end up distorted and stretched. It’s called image aliasing, and leads photos and videos taken from the iPhone’s camera to look odd. The effect is especially clear on videos taken of fast moving objects. The cameras on iPhones and other mobile phone cameras scan slowly. Unlike a normal camera, which takes an image of all the pixels at once, it captures from one part of the sensor and then does the next. That means that the different parts of the images are taken at different times. If something in the pictures moves while it is doing so, it can pull and stretch the images. In the Hampton Court image, that is what seems to have happened. As the woman moves from the right to the left, she is captured at various parts of her journey – making her hair look very tall, while her body has moved away. Pareidolia and Photos – Am I seeing Things? 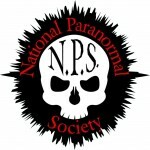 I was Case Manager for Denver Paranormal Research Society for nearly 4 years. While on the team, I primarily conducted investigations for clients of their private residences. I have since left Denver Paranormal to pursue my own research and conduct investigations of haunted locations. I now focus mostly on historical places. We have heard it here in this group many, many times…”It just pareidolia”, which is the tendency for the brain to perceive meaningful shapes, especially faces, in random visual or audible stimuli. The good news though is that we have the ability to override this natural instinct of ours. If we as paranormal investigators want to actually present real proof of paranormal events to the world and further the fringe sciences, we need to remain purely objective when analyzing our evidence. We need to detach ourselves from our evidence completely, and be willing to debunk it. IS THE PHOTO WORTHY OF BEING CONSIDERED? – The photo needs to be in good focus. No blurry or poor quality, badly pixelated photos. wonderful, or horrific, images.You have to let it go! Keep it for yourself if you wish, but do not submit it as evidence to anyone else. If the photo passes the initial quality check, we can then analyze any images it contains. DO I SEE A FACE? When analyzing an image we see in a photograph, we need to observe its qualities closely, without bias. We MUST be able to leave our beliefs and wishes at the door. Study the image in question. The image should be an actual object – it should be separate and apart from anything else in the photo, with a distinct shape. It cannot be inside a bush, in tree branches, in the shadows etc. It also MUST be clear and obvious. If you have to draw circles or outlines, or zoom in to see it, it is not good enough to be considered. Zooming into a digital photo causes pixelation and digital artifacting, which can add to the pareidolia effect. We need to set aside any impressions we get and look at it purely objectively. Look ONLY at what is ACTUALLY there. For instance, we can’t call 3 ovoid shapes and a curvy line a face. For it to be a real face, we need to see actual eyes, a nose and a mouth. If it only *seems* like a face, then we have to let it go. Does the image look like an actual object existing independently in the photo? 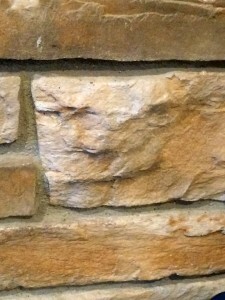 This photo is of a brick on my fireplace. My house is not haunted. This is not a face. If we really want to find proof of the paranormal, there is no other way – we must be objective always. We must debunk, debunk, debunk. When in doubt we must be willing to throw it out. This goes for every piece of evidence we analyze whether it be visual, audio or other, whether it be yours, mine or ours. If we hold ourselves to these standards, and come across something we cannot debunk, that makes for strong evidence, and that is the ONLY way we will further the fringe science of paranormal investigating. 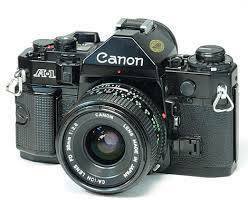 The Canon A-1 was manufactured by Canon Camera K.K., in Japan from April 1978 – 1985. It is an advanced level single-lens reflex 35 mm camera for use with interchangeable lenses. The Canon A-1 was the first SLR to offer an electronically controlled programmed auto exposure mode. The A-1 has a microprocessor programmed to automatically select a compromise exposure based on light meter input. Maker Cannon Camera K. K.
I have been a Photographer for over 35 years. I have used Polaroid’s, Early Point and Shoot Film and Single Lens Reflex, Digital Point and Shoots, Cell Phones and now Full Frame DSLR’s. I have taken classes, researched, read books, and most of all, experimented and taken millions of photos. I have taken really crappy photos and some amazing photos and I have learned from each of them, and I am still learning. So now it seems like everyone is using camera’s in the paranormal for either pre investigation or during the actual investigations. There are also those that take random pictures and see things in them that they cannot explain. Getting to know your camera, a Cell Camera, Point and Shoot or DSLR is an important part of determining what is going on with your pictures. It’s good to start with basic operation so that your photos will come out less blurry, with more vivid colors and little to no artifacting. I know I like my pictures to be as perfect as possible, under any condition, but remember, it’s not always possible for every picture to be perfect. Many natural things around you affect your shots, but you do have control over them to a certain extent. The majority of people tend to use the Automatic setting on their camera, which is great for most shooting conditions, but will not always provide the best picture from your camera. It can be fooled, so sometimes it’s better to delve into the manual settings to get the best possible shot. Just remember, on Auto Mode, these can all change from shot to shot, depending on what your camera senses when it tries to focus. Not all cameras are created equal; you may have more control of each of these from camera to camera in the Manual Mode. There are many other settings so I would suggest reading your owner’s manual or just researching on the internet or investing in a good book on photography. The big three in camera settings and the ones you’ll hear referred to the most are as follows. ISO: What is ISO, in film photography is how sensitive film is to light. It is measured in numbers such as 100, 200, 400, 800 etc. The lower the number, the lower the sensitivity of the film to the light and the finer the grain in the shots you’re taking. In Digital Photography ISO measures the sensitivity of the image sensor to the surrounding light. The same idea as in film photography, the lower the number, the less sensitive the senor is to light, but you will get a much clearer picture as a result (Less Noise), especially when enlarged. So shooting at ISO 100 will give a much crisper image when enlarged than say ISO 400. The ISO is also referred to as the film speed, the higher the ISO, the easier it is to capture moving objects, so an ISO of 800 would be used when photographing fast moving sporting events for instance, to get a nice stop action shot with little motion blur. Again, this is something your camera will adjust for when in Auto Mode, so depending on the amount of light, this could change drastically, created blurred shots in very low light perhaps if it does not adjust with a higher ISO. When shooting in low light, and on manual, the higher the ISO and the higher the Aperture and longer shutter speed, the better the shot will be. It’s possible you may not need a tripod (Although I would always recommend one unless you have Anti-Shake technology and a very high ISO capability). This does not mean you can take a shot with no light, handheld, but you can with a tripod and a very long shutter speed. Aperture/F Stop: This is the opening in the lens. When you press your shutter release, a hole opens up in the lens, the wider the hole; the more light is let in. This hole is measured in F-Stops, for example f/2.8, f/4, f/5.6 etc. These numbers may be a bit confusing though, since the smaller the number, the wider the aperture, or more light is let in. The biggest result of changes in aperture is Depth of Field (DOF). What this means is that with a larger aperture, say f/22, more of the shot will be in focus, both objects up close and objects in the distance. Small Depth of Field means that only part of the image will be in focus, as in a flower shot, where most of the flower will be in focus (depending on how close the flower is) and the rest of the shot will be out of focus. When thinking about this in the paranormal world, and when shooting in Auto Mode, this could mean only certain objects will be in focus. Shutter Speed: Shutter speed is the amount of time that the shutter is open, thereby letting in more light. It is measured in seconds, such as 1/100, 1/1000, 1 etc. This is one of the main items we talk about when looking at paranormal photo’s, as normally most shots will be in low light and the camera will be on Auto Mode. Under these circumstances, the camera will try to leave the shutter open longer, to let in more light. Unfortunately, what this will create is a blurry photo when not using a tripod. Even if the “Click” seems fast to you, the shutter is open long enough to feel the effects of hand movement, wind etc, which will cause a slight movement of the image on the sensor, thereby blurring the picture. It could be anything from a slight blur to a blur so bad as to cause the shot to be unrecognizable. Manual Settings: So, with all that said, Auto Mode is great for shooting outdoors, in high light situations with most cell phones and point and shoots as well as Standard DSLR’s. But when it comes to low light, even with a flash, Auto can create many issues, due to the setting the camera decides to use. The best way to decide what manual settings to use is to experiment. Know your camera; know what settings work best under what conditions. My personal preference is to only shoot pre investigation shots, to document the location and hopefully get some cool artsy shots as well. Due to all the issues explained above, I won’t shoot anything during the investigation, as it is usually in low light to no light. If you insist on doing so, always use a flash and a tripod at a minimum. Christian Rosenkreuz is the legendary, perhaps allegorical, founder of the Rosicrucian Order (Order of the Rose Cross), presented in the three Manifestos published in the early 17th century. The first anonymous public document on the Rosicrucian Order is the Fama Fraternitatis Rosae Crucis, which appeared in 1614 in Kassel (Germany), introducing the pilgrim founder “Frater C.R.C.”, followed in 1615 by with the Fama). In 1616, the Chymical Wedding of Christian Rosenkreutz appeared in Strasbourg (annexed by France in 1681), losing for the first time the founder’s name as Christian Rosenkreutz. According to legend, Christian Rosenkreuz was a doctor who discovered and learned esoteric wisdom on a pilgrimage to the Middle East among Turkish, Arab and Persian sages, possibly Sufi or Zoroastrian masters, supposedly in the early 15th century (see section below on Symbolism); returned and founded the “Fraternity of the Rose Cross” with himself (Frater C.R.C.) as Head of the Order. Under his direction a Temple, called Sanctus Spiritus, or “The House of the Holy Spirit”, was built. It is described that his body was discovered by a Brother of the Order, in a perfect state of preservation, 120 years after his death (which occurred in absolute secrecy) — as Rosenkreuz had predicted —, in a heptagonal chamber erected by himself as a storehouse of knowledge. It is described that on the Sarcophagus in the centre of the Crypt of Christian Rosenkreutz were written, among other inscriptions the words, “Jesus mihi omnia, nequaquam vacuum, libertas evangelii, dei intacta gloria, legis jugum” (being in translation, “Jesus is everything to me, by no means empty, the freedom of the gospel, the untouched glory of god, the yoke of the law”), testifying to the builder’s Christian character. Rosenkreuz’s crypt, according to the description presented in the legend, seems to be located in the interior parts of the Earth, recalling the alchemical motto V.I.T.R.I.O.L. : “Visita Interiora Terrae Rectificando Invenies Occultum Lapidem (“Visit the Interior Parts of the Earth; by Rectification Thou Shalt Find the Hidden Stone”). According to Maurice Magre (1877–1941) in his book Magicians, Seers, and Mystics, Christian Rosenkreuz was the last descendant of the Germelshausen, a German family which flourished in the 13th century. Their castle stood in the Thuringian Forest on the Border of Hesse and they had embraced Albigensian (i.e., Cathar) doctrines, combining Gnostic and Christian beliefs. The whole family was put to death by Konrad von Marburg except for the youngest son, who was only five years old. He was carried away secretly by a monk who was an Albigensian adept from Languedoc. The child was placed in a monastery which had already come under the influence of the Albigenses, where he was educated and made the acquaintance of the four other brothers who were later to be associated with him in the founding of the Rosicrucian Brotherhood. His account derives from oral tradition. Some occultists including Rudolf Steiner, Max Heindel and (much later) Guy Ballard, have stated that Rosenkreuz later reappeared as the Count of St. Germain, a courtier, adventurer and alchemist who reportedly died on February 27, 1784. Steiner once identified Rembrandt’s painting “A Man in Armour” as a portrait of Christian Rosenkreuz, apparently in a 17th-century manifestation. Others believe Rosenkreuz to be a pseudonym for a more famous historical figure, usually Francis Bacon. The metaphorical nature of these legends lends a nebulous quality to the origins of Rosicrucianism. The opening of Rosenkreuz’s tomb is thought to be a way of referring to the cycles in nature and to cosmic events; and as well, to the opening of new possibilities for mankind consequent on the advances of the 16th and early 17th centuries. Similarly, Rosenkreuz’s pilgrimage seems to refer to the transmutation steps of the Great Work. 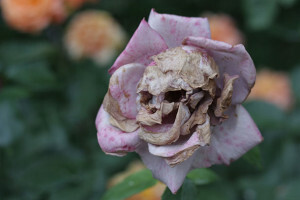 What is apophenia and pareidolia? They are the official terms that are more commonly referred to as ‘matrixing.’ Apophenia is defined as the experience of seeing patterns or connections in random or meaningless data. It originated as a psychology term and can be a phenomenon or an abnormal one such as schizophrenia. Neurologist Klaus Conrad coined the term which was defined as “unmotivated seeing of connections.” Carl Jung, a Swiss psychologist, believed that coincidental events with some symbolic significance were actually meaningful. Referred to as synchronicity, this is considered a form a apophenia. (You can read more about synchronicity here: http://www.skepdic.com/jung.html) The terms patternicity and pattern-seeking are also used to describe aphophenia. More about patternicity and apophenia can be found here: http://www.scientificamerican.com/article/patternicity-finding-meaningful-patterns/. The Skeptic’s Dictionary helps put apophenia into perspective about what it really is and describes situations in which it appears here at this link: http://skepdic.com/apophenia.html If you want to take a more scientific look at apophenia, check out this article from Psychology Today on it: http://www.psychologytoday.com/blog/reality-play/201207/being-amused-apophenia. Pareidolia is defined as a psychological phenomenon involving a vague and random stimulus (often an image or sound) being perceived as significant; a form of apophenia. It is the phenomenon of recognizing shapes, patterns, and familiar objects in random objects. Your brain tries to make sense of what you are seeing by tying it to something familiar. It is similar to the ink blot tests we have seen given and being asked “what do you see?” Faces are the most commonly known form tied to pareidolia. As with apophenia, The Skeptic’s Dictionary has a great article on pareidolia that gives us examples of what pareidolia is: http://www.skepdic.com/pareidol.html Live Science presents a great article about pareidolia in not only visions, but sounds: http://www.livescience.com/25448-pareidolia.html Even the BBC News has addressed pareidolia: http://www.bbc.com/news/magazine-22686500. Now that you know what each of these terms means, go back through some of your pictures, or some that you may have seen posted, and really look at them. Is the image being seen really there or is there a chance that your brain is recognizing it as something? Proper debunking methods should be applied when looking at these pictures so that you rule out a leaf whose veins look like a face or a reflection in a dirty window pane that looks like a spirit face looking at you. Rule out what you KNOW could be a factor before you look into what could be paranormal. Being an investigator means doing your research not just on all things paranormal, but all things that are NOT that affect your photography, and even videography, results. I know as soon as you read “ecto” you immediately thought about Bill Murray and Dan Akroyd in Ghostbusters, didn’t you? Ha! I don’t think that any of us growing up in the 80s will ever think of anything else when we hear that word. So let’s start today’s discussion off by talking about what ecto, or ectoplasm, is and where it came from. Then we can get into mists. Back during the Victorian age spiritualism was quite popular. Thought was given to how spirits would and could materialize to show themselves. The thought of doing so out of just air wasn’t feasible so they began to consider the appearance as ectoplasm – spiritual energy with substance. Ectoplasm comes from the Greek words ektos and plasma meaning “outside formed.” The word was first used in 1894 when French physiologist Charles Richet used it to describe the manifestations which appeared during the time psychic mediums were put into trances. It was later determined that these ectoplasm appearances were hoaxes. Considered to be more of a legend, the term was made popular by the movie Ghostbusters when referring to the green slime produced by the ghosts in the film. Now we use the term to describe any unknown physical substance that may be tied to a haunting. However, some people still use the term when referring to mists and vapors, especially if they appear to have swirls in them. Mists tend to show up when the photographer’s breath (or that of someone standing nearby) is illuminated by the flash of the camera. The same holds true for cigarette smoke, fog, steam and moisture in the air. Think about turning on your flashlight and seeing all the misty, foggy like appearances you see in its beam – that is moisture and humidity in the air being illuminated. The same holds true for when your camera’s flash hits this. It is believed that a true mist that is paranormally related will hover above the ground, move in directions that seem pre-determined and not last long. Be sure you are following your debunking methods before thinking that what you have captured on film or video is truly paranormally related. So, how can we begin to debunk these photos that contain ectoplasm or mist? Once again let’s go back to one of my favorite photography sites, Cambridge in Colour to see the tips on photographing fog, mist or haze to understand what NOT to do when we are taking pictures in investigations. Another good link for more on how to take pictures when it is misty or fogging out is this one from ePhotoZine.com. Remember, we must understand what causes the mist and fog to appear in the picture to know how to avoid it when we are taking pictures on our investigations. This link is awesome when it comes to seeing what smoke looks like and can look like in pictures. Take a look and then save it for reference later when you review your own pictures. No one should ever be smoking while on an investigation but keep in mind, if your team takes a break and someone needs to light up, that smoke can still linger in the area for a bit longer than you think. We have all done it at one time or another – we have been on an investigation, snapped some pictures and gotten back to review them only to find that there are unexplainable lights and even faces showing up in our photos. I’m not talking about the lights from the room or outside, or the faces showing up in dorbs, but more reflections. To truly process these photographs from the researcher and investigator’s eyes we MUST begin with debunking first – find an explanation for these appearances and when we can’t, THEN turn to the thought that it might be something of a paranormal nature. First, take a look at your surroundings. Your camera’s flash can reflect off of different surfaces and not always glass or metallic surfaces either. Several things can come into play such as moon light, bugs flying around, clouds, parts of another building and other factors. Make sure you are taking note of your surroundings. Someone with coins or keys in their pocket through a light fabric could cause a light reflection – pay attention! Second, never take a picture pointed towards a mirror, glass or window. This should be a given but still we do it. Mirrors can reflect not only the flash of the camera but can provide a false positive of even a shadow from that one flash reflecting off the mirror and back at you. The same holds true for glass displays, glasses, and the like. 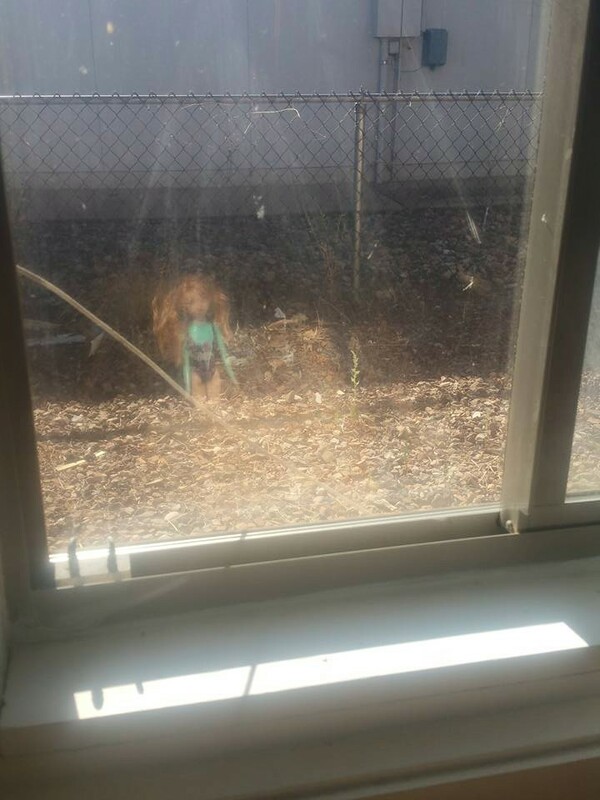 If you are taking pictures of windows, note the outside plants and trees because even though you are inside, there is moon light OUTSIDE that could cause you to develop some sense of pareidolia and make you think you caught an apparition. 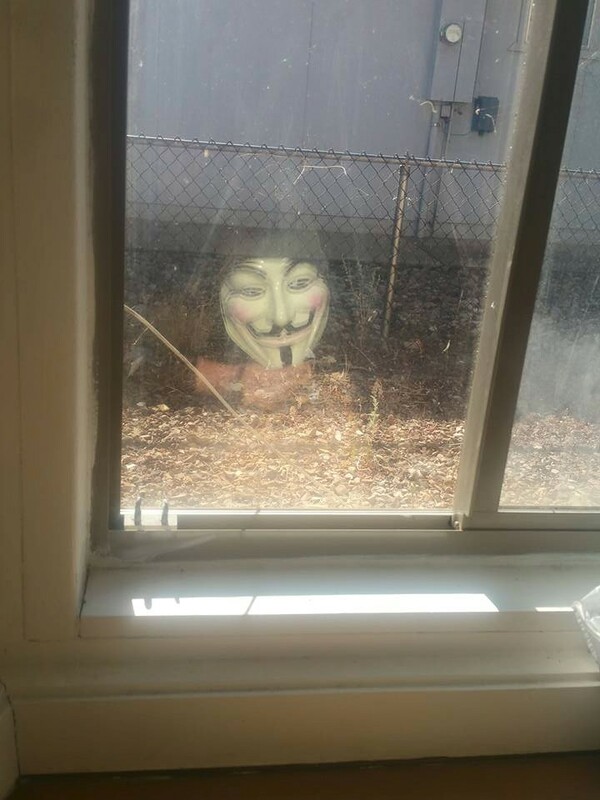 Do you think you see a face in a window? Chances are it is either light reflecting off a tree or plant, light reflecting off a dirty surface or light reflecting from another surface in the area. Debunk it ALL before even thinking it could be paranormal nature! Surely you are following the 1-2-3 rule with photography and snapping three pictures of everything so that you can compare them. Look at the other two pictures you took as well as your walk through pictures during the broad daylight to really get an idea of what could have reflected in your picture causing you to see what you see. If you can rule out everything explainable, THEN you have a case for something to be looked at further with a paranormal thought. 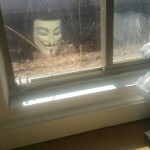 A great site that shows reflections off common items is this one:http://www.etherealthoughts.com/gpage46.html. Here you can see lots of examples of how things reflect light – some you would think of, some you would not. I encourage you to check it out. Want to take your photography a step further and learn how to use polarizing filters in your photography to diffuse reflections? This link will take you to a tutorial where polarizing filters are discussed and explains how the filters help. I am going to start out today’s discussion borrowing from a great post by Anna Hill who shared some information borrowed from www.talkparanormal.com. Her text is below along with a link to the original site if you want to check out the other comments made. “We often see, or are asked our opinions of photos that people suspect, are the products of paranormal activity…when in fact are easily explainable by someone with even mediocre photography experience. 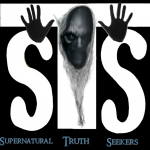 While we understand that many people do not understand the “how’s or why’s” of the strange anomalies in photographs, we wish to educate the public and paranormal community. With a little research, we can all recognize these occurrences. Instead of typing this all out, I find this all worded perfectly here at the blog, www.talkparanormal.com. Please read on. “It’s easy to use a wrong camera setting. Your ISO for example in low light or darkness should be 400 or higher like 800 to 1600 if you have over a 12 mega pixel camera. You can use a 100 ISO only if you’re shooting off a tripod in these conditions. If you aren’t, you’ll get a longer shutter and movement. You can also have your camera on automatic which causes your camera to struggle focusing in the low light and will give a blur. “Now with the right ISO you still need to have the correct shutter speed or once again you will get movement and brighter objects will appear to be moving. I suggest setting your camera to manual and adjust it for the average distance you’ll be shooting and keep it there. 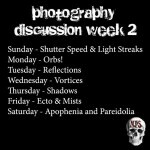 “Camera movement – this is a huge problem with paranormal photographers. At night when your camera is set wrong you must listen closely to make sure your shutter opens and closes. Just because the flash goes off doesn’t mean the picture is done. Your shutter may remain open and when you move, add shadows and strange blurs to your shot. “Dust or moisture – when dust or moisture is present expect to capture orbs. These aren’t paranormal and have been shown you can eliminate them by moving your flash further from your lens, or by adding a shroud around the outside of your lens. “EXIF information – digital cameras have what is called EXIF information on every picture. If you have pictures not turning out then check your EXIF – this will give you the settings you are using. Experiment with your camera and when you find EXIF settings that are perfect, write them down and use them all the time. Original post located at: http://www.talkparanormal.com/thread-8503.html. Here are a few samples showing controlled shutter speed to make artistic pictures that I found while searching on the internet. Take a look at some of your pictures and see if you see anything similar. If you do, chances are it was due to slow shutter speed and not something paranormal. What is EXIF Data? EXIF stands for Exchangeable Image File and stores information regarding pictures taken with a digital camera. The data contained in this file includes shutter speed, exposure compensation, F number, metering system used, if a flash was used, ISO number, date and time the picture was taken, white balance, auxiliary lenses that were used, and the resolution. Some images may even contain GPS information if they were taken from a cell phone. 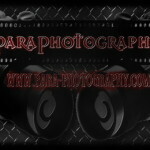 This information can assist you in determining why your photograph did not turn out the way you would have liked. It will also help you debunk if something paranormal was captured or not. 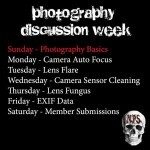 Yesterday we talked about cleaning your camera, specifically your camera’s sensor. We always focus on the outside of the camera and keeping it clean while keeping our camera in a protective case but do we every consider the INSIDE of our camera? Sometimes we tote our camera around in various weather conditions, various inside conditions and then we store it away when not use. We never give consideration to the fact that when we switch lenses or just leave our camera be that dust could be collecting inside of our camera. How many of us have even considered humidity and moisture affecting the INSIDE of our camera? Mix all that together and we have a great combination for what is known as lens fungus! Lens fungus doesn’t just affect your lens but it can affect the internal workings of your camera if not found in time to clean it properly and get rid of it. There is nothing worse than being on an investigation where you are experiencing activity and you take out your camera to get some pictures only to find it’s not working properly because of something as preventable as lens fungus. Have you ever looked through your camera viewfinder and wondered what those spots are that you’re seeing? Did you grab a soft cloth and clean your viewfinder or even your lens only to find they were still there? Were you taking a picture during an investigation and notice spots in your picture only to get home and find they weren’t actually “in” your picture? Those spots are nothing paranormal; they are an indicator of a dirty camera sensor, mirror or lens. Part of an investigator’s responsibilities when investigating is maintaining your equipment in top shape. This means ensuring that your equipment not only has fresh batteries, but that your camera is clean throughout. This article on camera sensor cleaning covers all the basics and details on how you can clean your DSLR camera’s sensor.http://www.cambridgeincolour.com/…/camera-sensor… Step by step instructions including descriptions of the types of cleaning tools that should be used are contained in this article. Another useful article that offers step by step instructions on cleaning your camera sensor is this one: http://www.adorama.com/…/The-Secret-of-Effectively-and…. Both articles contain great information on cleaning your camera sensor as well as offering an understanding of how it functions. Camera Auto Focus – what is it? Auto focus is basically how your camera knows what the subject of your photograph is. We just point and shoot while the camera does all the work. The auto focus sensors pick up on an object within the frame of the camera, fixate on it and then snap the picture. The result is a focused, sharp picture with our subject clearly seen. If there is movement during the moment the camera button is pushed, either by the subject of the picture or the photographer, the auto focus may not be able to pick up the stationary object long enough to snap a clear picture and this is how we end up with blurry pictures sometimes. It can also cause double images tricking you into thinking that maybe something else is in the picture that really isn’t. You will want to learn how your camera works with auto focus and you will want to decide if maybe manual focus is better for you. Auto focus works better for “burst” pictures or taking several pictures in succession. Manual focus works better when you have more time to dedicate to snapping your shot. To learn when to use auto focus versus manual focus, cut and paste this link in your browser:http://www.techradar.com/us/news/photography-video-capture/cameras/how-to-use-your-new-digital-camera-1049684/8 If using auto focus, you also want to make sure you know how to engage your camera’s auto focus properly. For example, my camera is a Nikon D3000 DSLR. To release the shutter I press my shutter release button down half way to get my camera to focus. I continue pressing down all the way to take the picture once my camera has focused and is ready. Be familiar with how your camera works! One of the things that you have to be very careful of as a paranormal investigator is being too quick to call something ghostly, or paranormal, before sitting down to take a closer look at what you may actually have in front of you. Troy Truth Seekers offers an Introduction to Paranormal Investigation course in partnership with the local cultural center, and we took the last attendees to an investigation at the Overfield Tavern Museum here in Troy, Ohio. There haven’t been any specific claims of haunting or paranormal activity at the Overfield, and that, coupled with its well documented history and layout, make it the perfect place to run through an investigation for the first time. One of my favorite pieces at the Overfield is an antique mirror that hangs in the hallway on the first floor. You can see it above, the picture was taken by one of the Intro to Para-Investigation attendees on our last mock investigation. Wikipedia has a great article on Pareidolia, and this is a perfect example. As the mirror in the picture above aged, the silver backing had become damaged, and the shape just happens to be vaguely human, especially when viewed on a three inch lcd screen on the back of a digital camera. The lesson to take away from this example is to always be aware of your surroundings, take multiple shots of the same area, and don’t be afraid to look at something with your own eyes, instead of from behind the lens. Jennifer Oberski a member of the Troy Truth Seekers, from Troy, Ohio.